Ajuga (aj-yew-guh) is an easy ground cover to grow, bugleweed will grow in sun or part shade, and it is not fussy about soil so long as the drainage is good. Ajuga will form a dense mat, which is one reason why it's so popular as a ground cover; and, common name for the plant is carpet bugleweed. 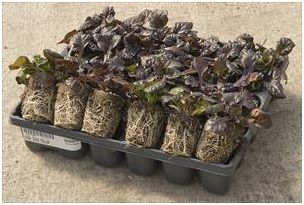 Ajuga can also be used for erosion control. Deer and rabbit resistant. In spring, ajuga bursts forth with spikes of blue, pink, or white flowers. Prefers sandy, well-drained soil, or moist conditions with a good drainage. Tolerates most any soil including clay, as long as it is well-drained. Good air circulation is essential to avoid crown rot. Ajuga grows best in partial to full shade but will also grow in full sun if constant moisture is provided. Spreads quickly by runners. Ajuga grows in the shade of large trees where grass is hard to establish. Unlike many perennials that are grown only for their flowers, ajuga is prized for its attractive, colorful foliage that looks nice all year. Good ground cover, great for erosion control; use as a border plant; or in rock gardens and containers; flowers can be very dramatic mass plantings. Thrives under tree and shrub canopies or along edges of shaded borders. Attracts butterflies and hummingbirds, and deer resistant. Plants may be mowed on high setting after blooming in order to remove spent flower spikes and to tidy the appearance of the planting. Member of the mint family, used as a medicinal primeval wound coagulant. Attributes: Border plants, Container, Edging, Easy to grow. Eye-catching when planted en masse. Attracts butterflies and hummingbirds. Deer resistant. PLANTING: Set out plants in the spring, 12 inches apart in part shade/sun. That the soil be well-drained is Ajuga's most important requirement; if necessary, add compost and coarse sand to heavy soils to lighten and improve drainage. MAINTENANCE: Keep soil moderately moist, watering to a depth of 6 inches during periods of drought. Mulch in winter without covering the tops of the plants: this will prevent damage to the shallow roots from alternate freezes and thaws.